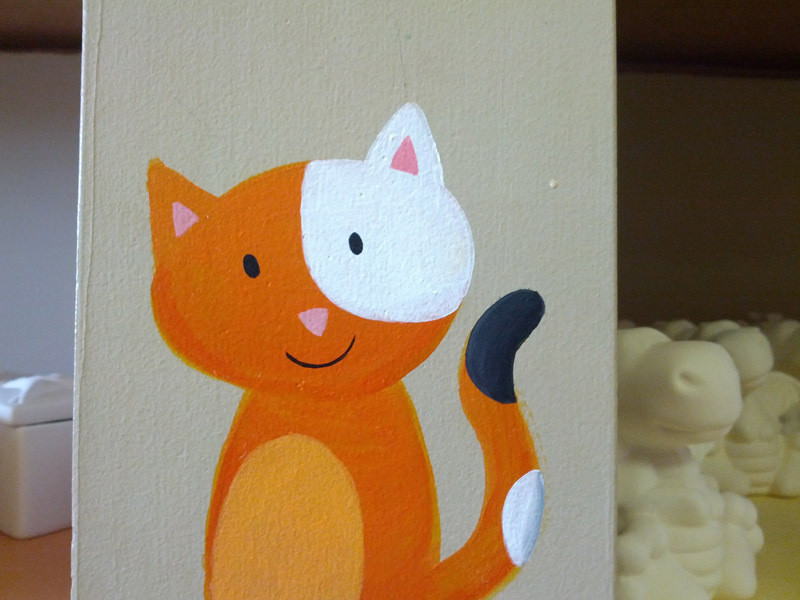 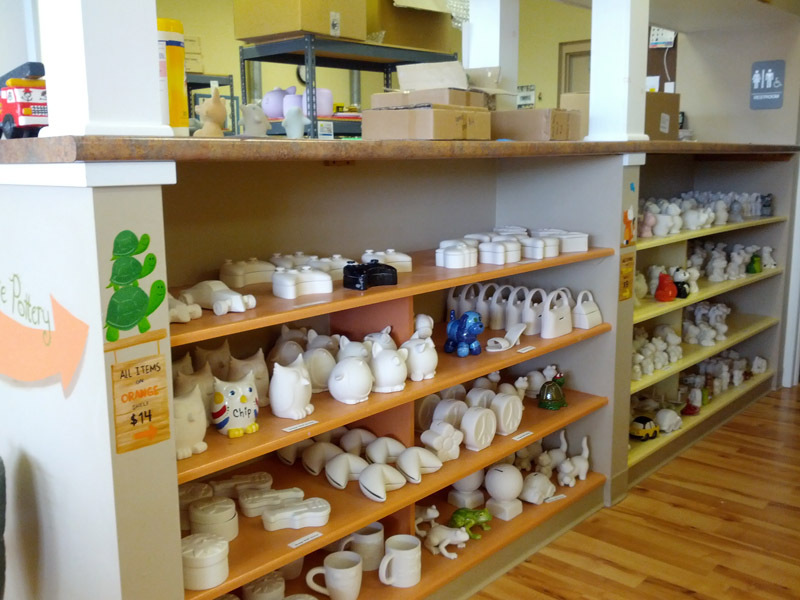 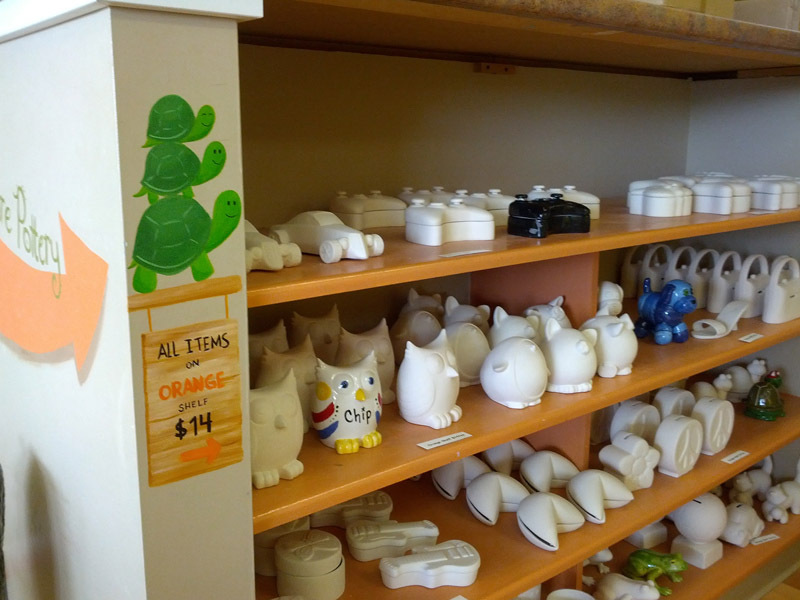 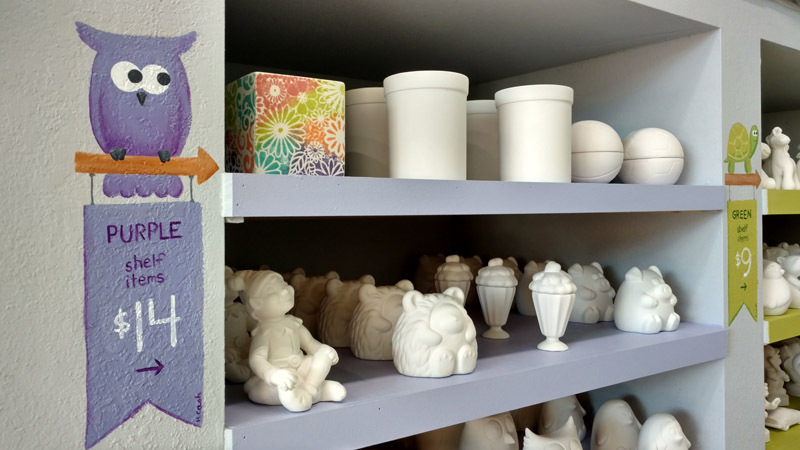 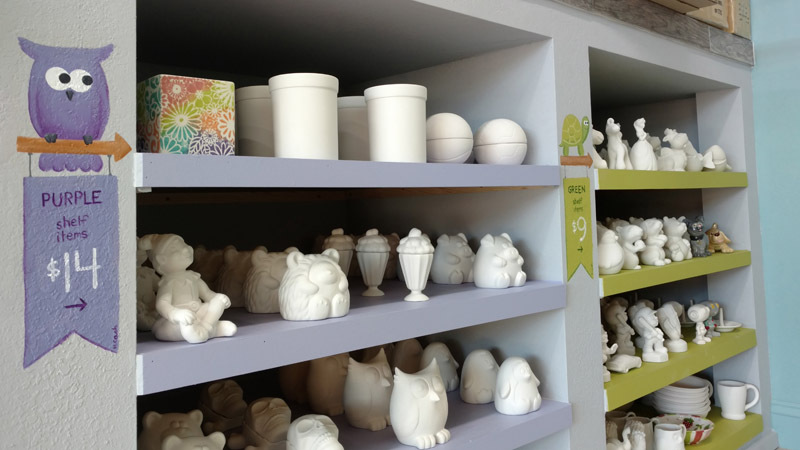 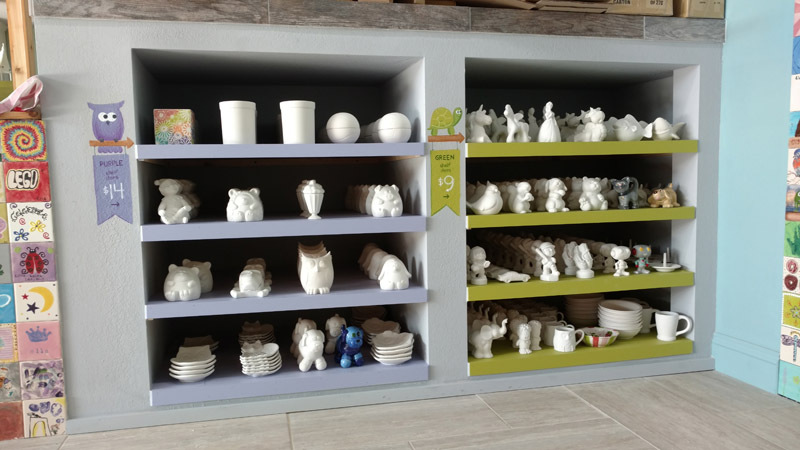 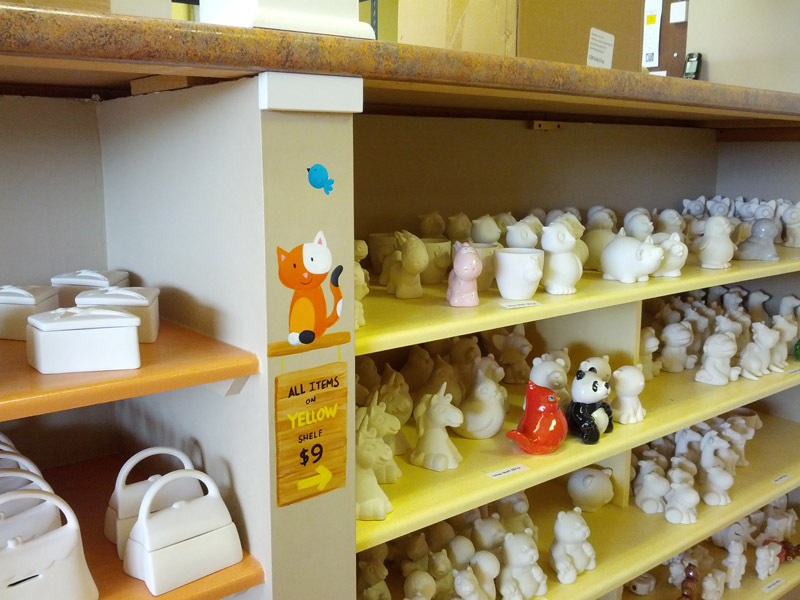 The friendly folks at Claytopia (where I teach my painting classes) wanted me to add some critters to their walls. 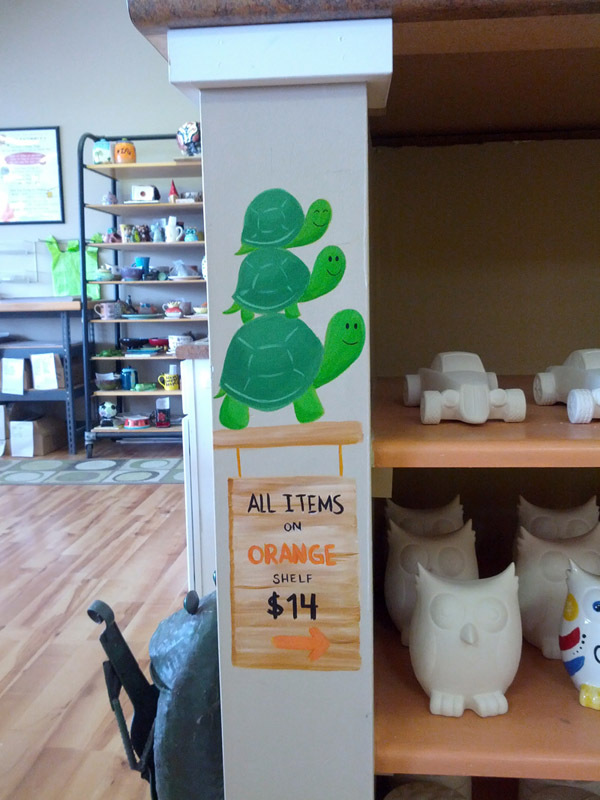 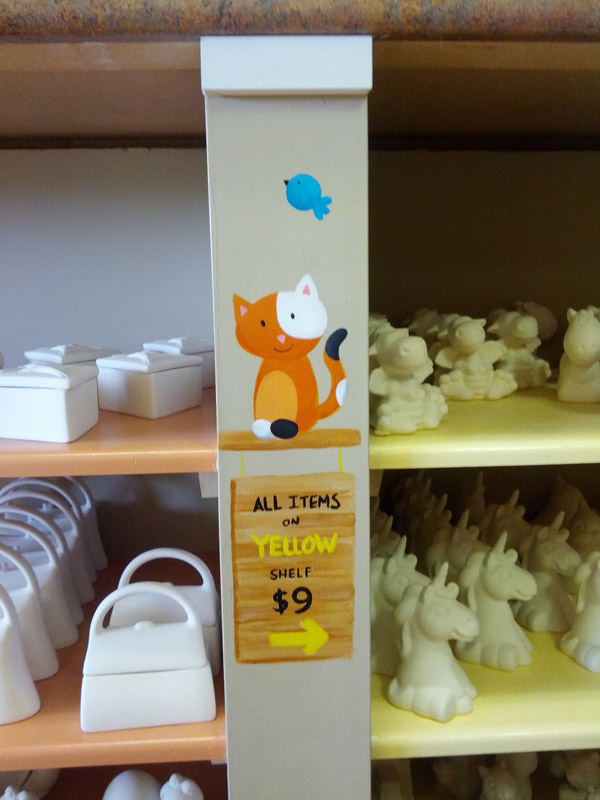 They had a couple paper signs with pricing info, so I thought it would be neat to replace those with little wooden hanging signs with critters standing on them! 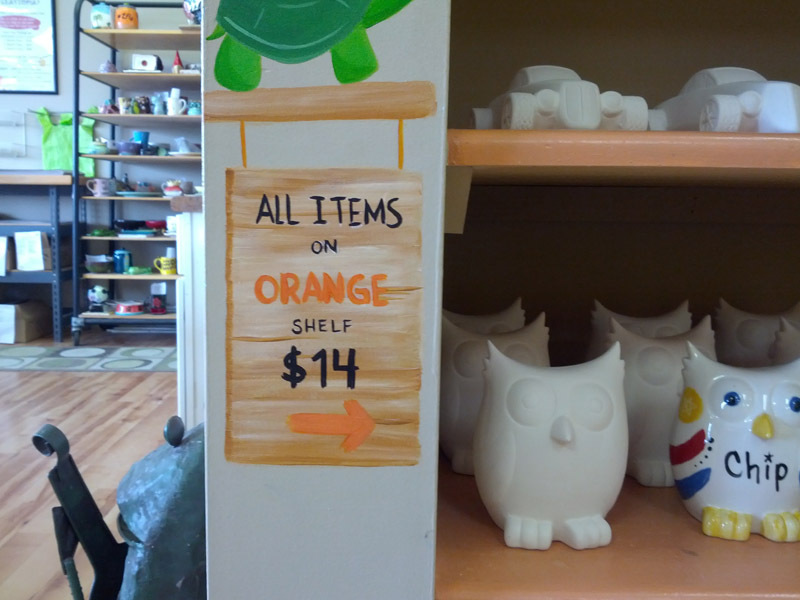 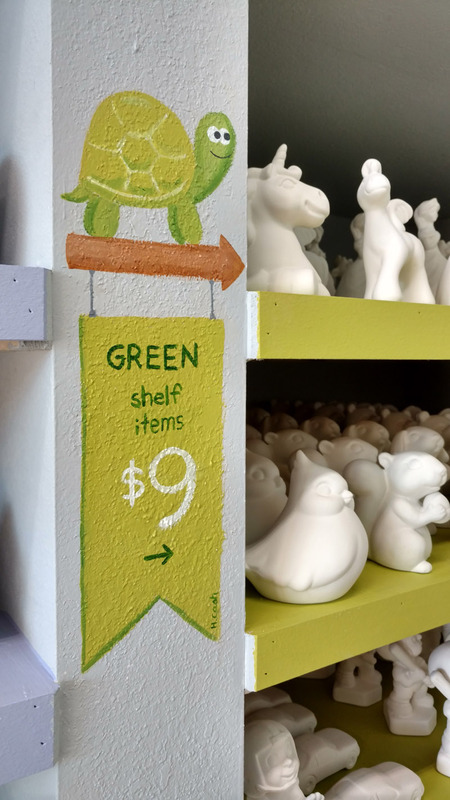 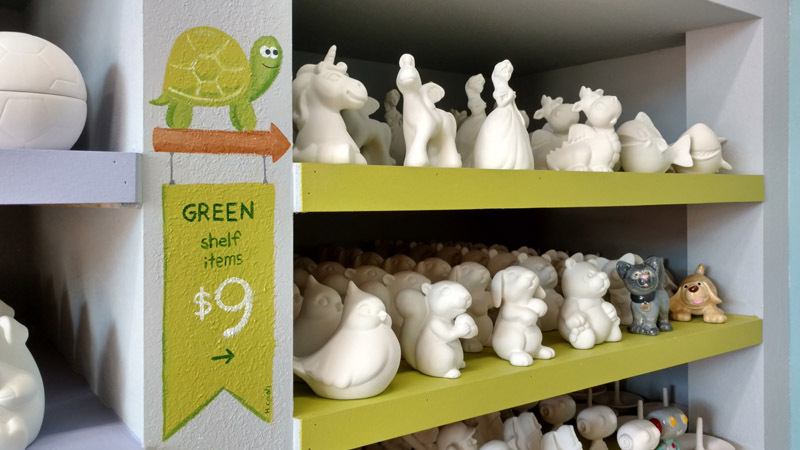 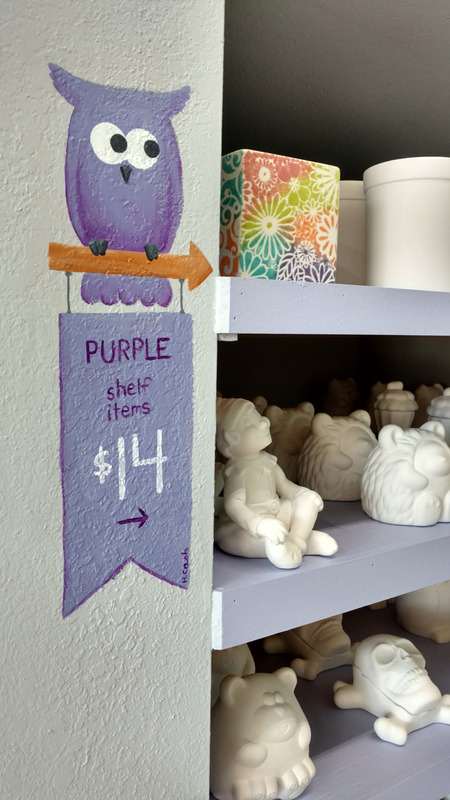 I made the colors of the murals match the shelf colors, so that it was clear visually which prices went with which items. 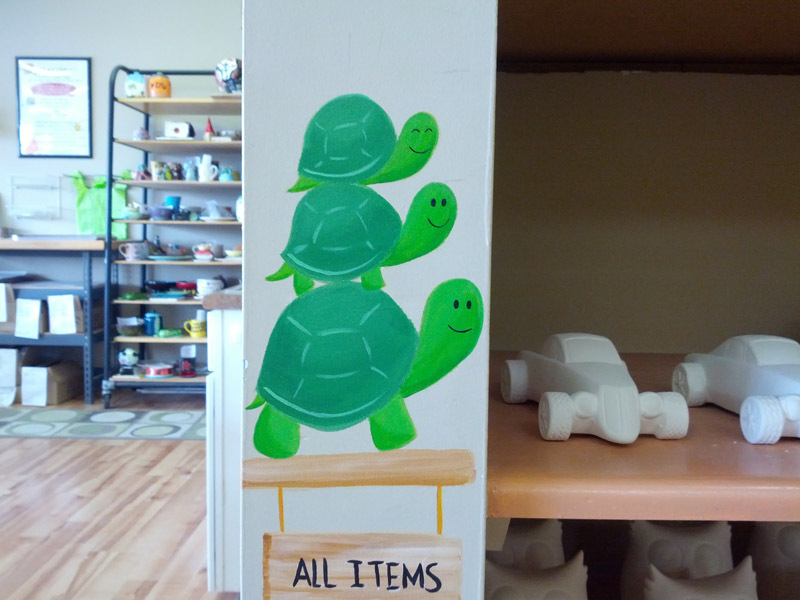 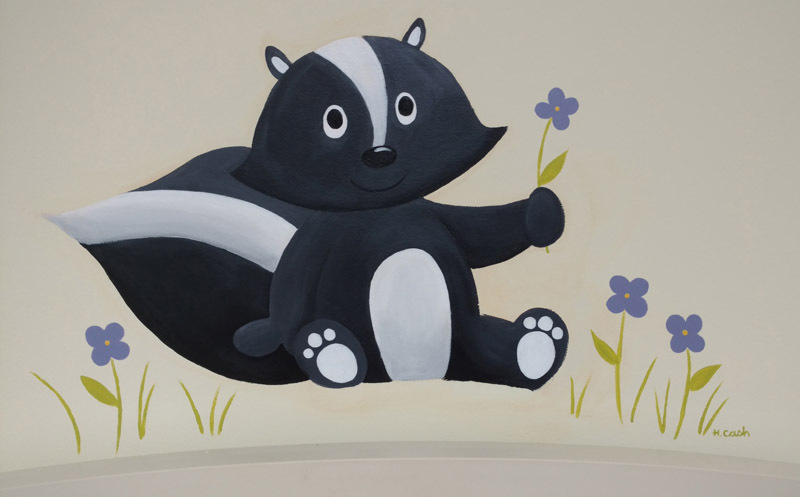 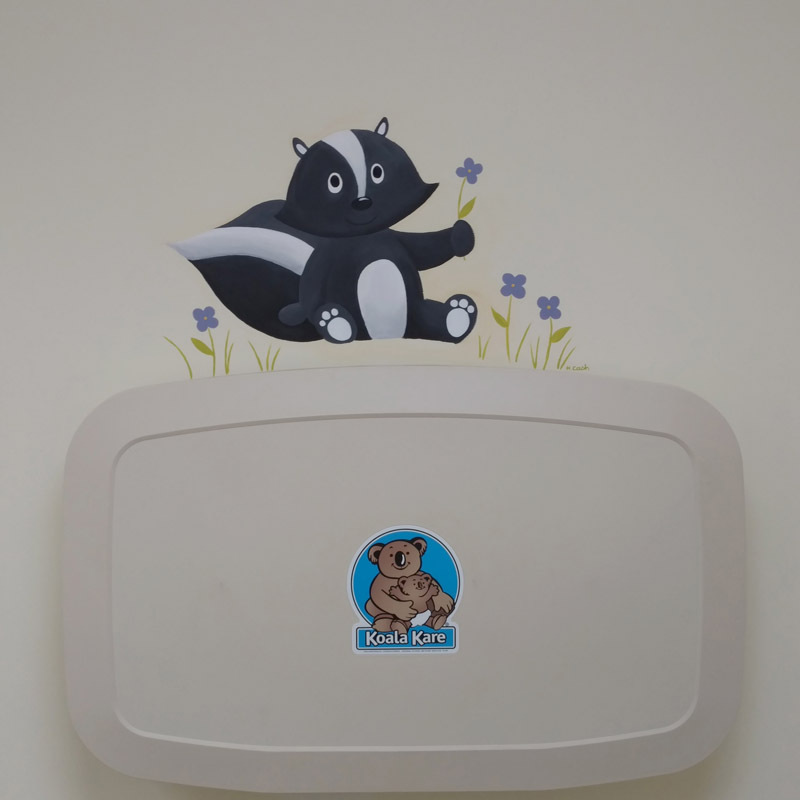 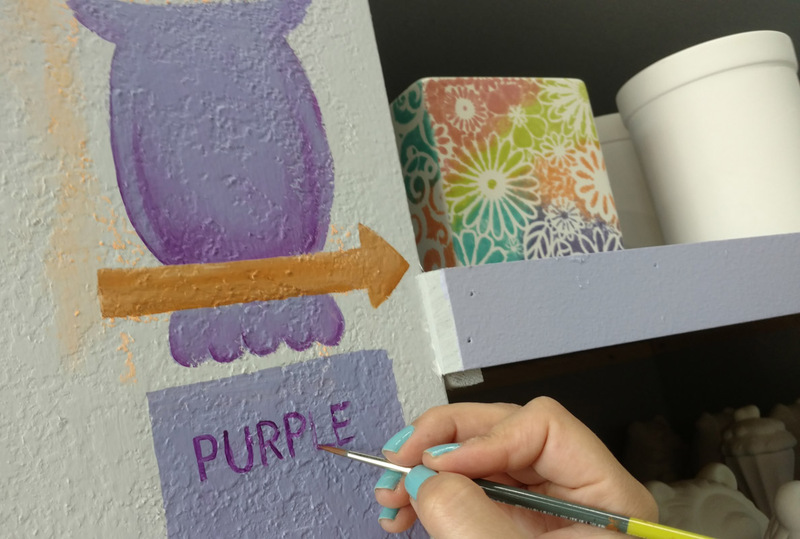 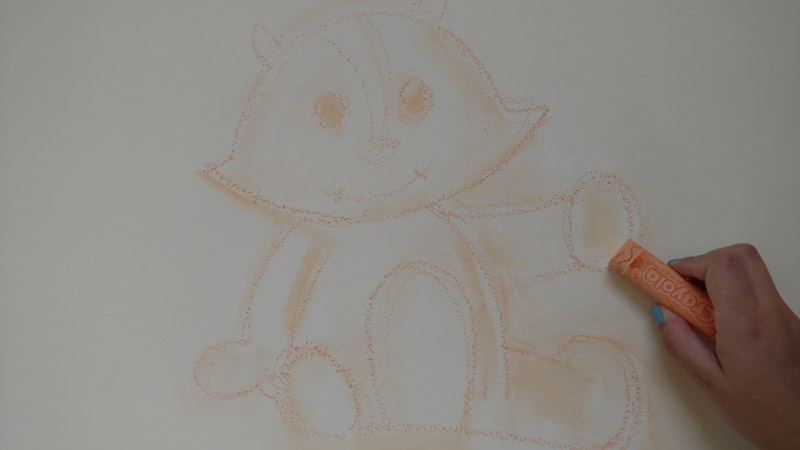 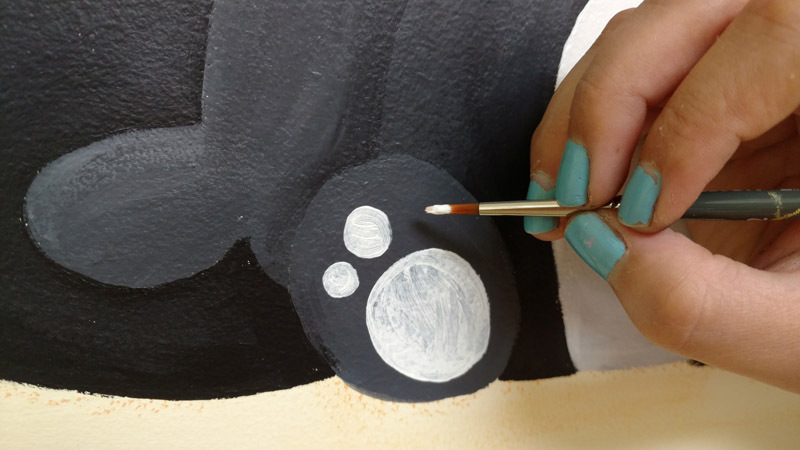 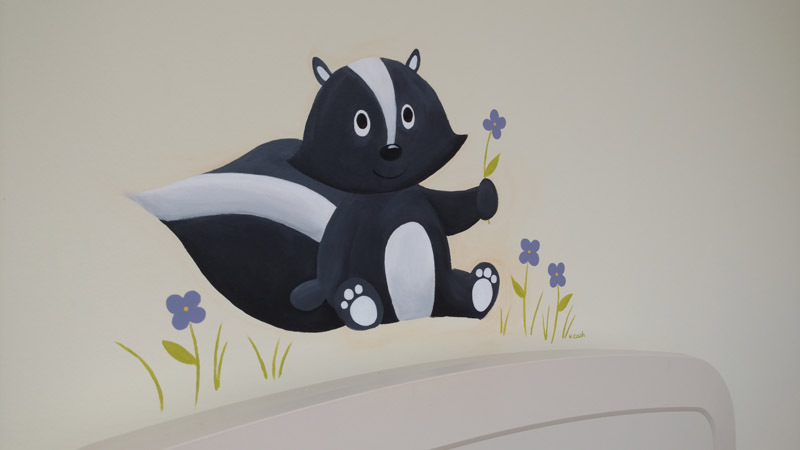 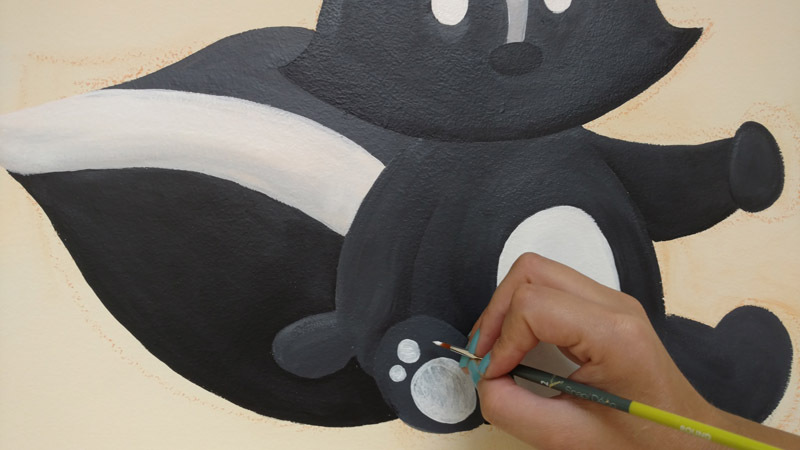 These mini-murals are just a couple feet off the ground, so that toddlers can get a good look.